Hi, I am a Ruby developer from Hradec Králové, Czech Republic. I work at Fakturoid (tiny invoicing startup). Parse and access RSS/RDF/Atom feeds with a uniform interface. 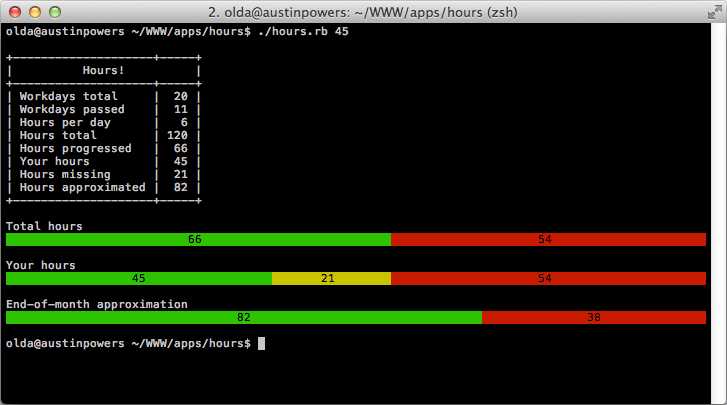 A smallish (Ruby) library to talking to AfterShip via v4 API. Yet another Maybe monad implementation for Ruby. Do something to a collection of items and see how long it is goingto take. 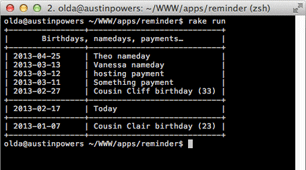 Useful for long-running Rake tasks. This is just a tiny library which abstracts away working with GPS points and bounds on the Mercator map. 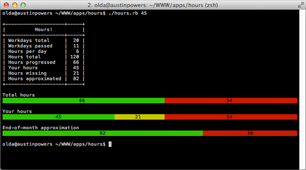 A Ruby progress-bar tool showing how many hours you have worked, should have worked and will have worked. 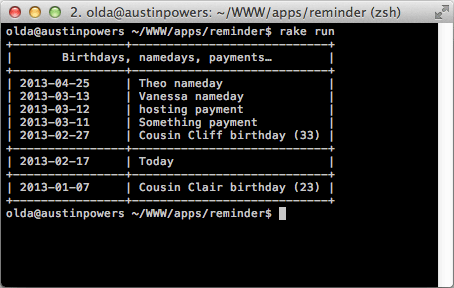 This is a simple Ruby command-line application to display upcoming and past events like birthdays, namedays and payments. A simple Rails app for keeping track of projects with tags and ajax goodies. I often forget where what is so now I will know. Send me an e-mail to oldrich.vetesnik [at] gmail.com, you can also find me on Twitter or GitHub.